I shared with you a funny story the human told me about what happened when he was at work yesterday. Today I want to share with you a medical condition that one of the cats at The Cat Cafe is dealing with. It is called anisocoria. Now, you might be thinking, Bagheera, that is a hard to say word. What does it mean? And that is a very good question. Normally, in both cats and humans, pupils are the same size. But for those with anisocoria, the pupils are different sizes. One of the felines that the human is trying to find a home for has this condition. He is a handsome and sweet older feline named Boots. This cat is so mellow that he let the human use him as a pillow and purred the whole time. When Jacey, Marley, and I saw this we told the human not to get any ideas! Boots is a sweet cat, but he is a little older, and as we felines age, sometimes, things happen to us. Some of these things can cause anisocoria. For example, an ulcer in the eye can be a cause of this, and older felines are more prone to this. 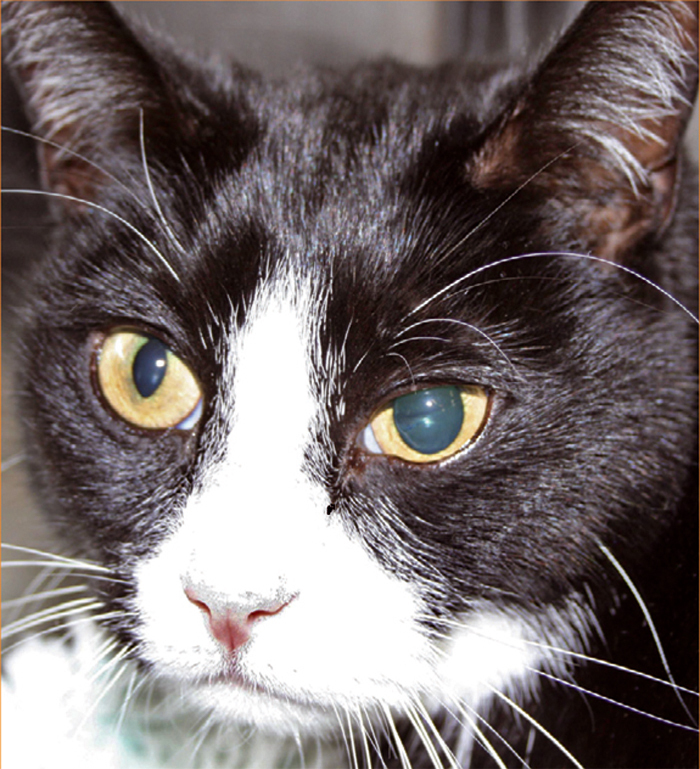 Also, glaucoma, which tends to afflict older cats, may be the reason. If you see a sudden onset of anisocoria, you need to take your feline to the humans in white coats. Because Boots came from San Diego Humane Society, he was checked by the humans in white coats before he arrived at The Cat Cafe. This means that he is okay, and his condition is not dangerous. I am hopeful that Boots will get adopted soon because the human tells me he is a very friendly cat. 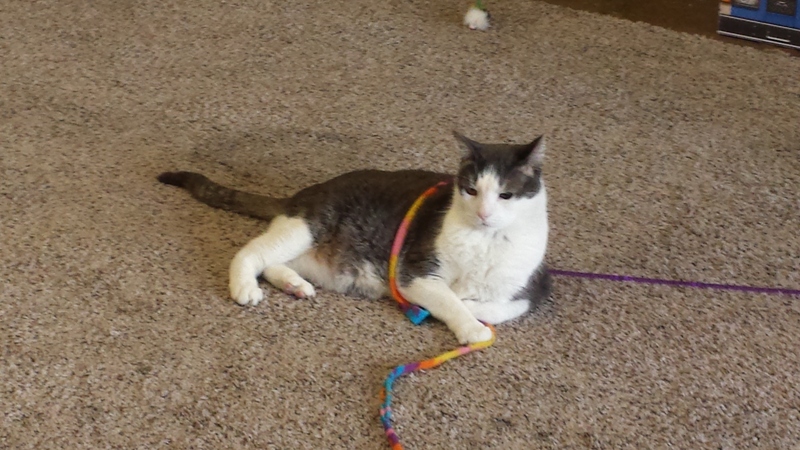 He is also a senior cat who is a special needs cat, which makes things more challenging. But I know the human will work hard to make sure he finds a good home and he is happy where he is now so that is good.